Sometimes, when you read a job posting, you wonder if an employer can really exclude certain types of applicants. What can employers list in a job ad and what shouldn't be listed? What are the rules and when do the rules not apply? 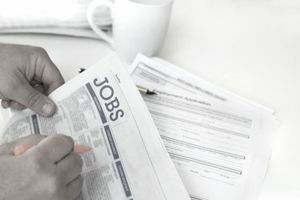 Employers are prohibited from discriminating against job candidates by numerous federal and state laws. Employers should not include any reference to gender, marital/parental status, unemployment status, race, ethnicity, age, non-job related disability, national origin or religion in job advertisements. The U.S. Equal Employment Opportunity Commission (EEOC) is the federal agency charged with enforcing laws prohibiting job discrimination. Employers can't screen out a candidate with a GED versus a traditional high school degree. Almost half of U.S. states prohibit discrimination based on sexual orientation. While there are currently no federal laws which apply to this population, ads for federal jobs should not include reference to sexual orientation. Job postings should not include information about unemployment or request applications only from people who are working. In fact, New York City passed legislation banning discrimination against the unemployed. It is rare for an employer to blatantly violate these laws by saying something like "Only married men need apply." More common violations involve the implication (perhaps inadvertent) that a certain type of protected class of person would not receive consideration, e.g., looking for candidates with strong family orientation, or seeking applicants with a youthful perspective on social media. Mission: To know Christ Jesus by living and then communicating the fullness of life within the family of God, the Church. We are seeking married couples to work in our homes. People of all genders and members of all racial and ethnic groups are encouraged to apply. There are rare exceptions to these laws such as cases where physical requirements would make it impossible, even with accommodations, for a physically challenged person to carry out the job duties. Applicants for employment often wonder if it’s legal when an employer specifies that they want candidates of a certain religion in a job posting. The answer is that it depends on the organization and the job. Title VII of the Civil Rights Act of 1964 prohibits employers from discriminating against job applicants and employees based on religion. The provisions of this law govern all aspects of the recruiting, interviewing and hiring process. The law also prohibits employers from discriminating against employees, harassing workers or limiting their advancement based on religion once they are on the job. However, religious organizations are exempt from certain aspects of Title VII. They can give preference to members of their own religion in the hiring process and can state this preference in a job advertisement. The Equal Employment Opportunity Commission (EEOC) defines religious organizations as institutions whose "purpose and character are primarily religious." EEO guidelines for interpreting this law cite factors such as whether its articles of incorporation state a religious purpose; whether its day-to-day operations are religious; whether it is not-for-profit; and whether it is affiliated with, or supported by, a church or other religious organization as indicators of whether an organization should be considered a religious entity. Even jobs which do not include religious activities are covered by this exception. For example, a church could hire only custodians who are members of their own religion and reject candidates of a different religious persuasion. This exception does not allow religious organizations to specify religions other than their own as a job requirement. Religious organizations are still prohibited from discriminating against job candidates based on age, race, gender, national origin or disability.